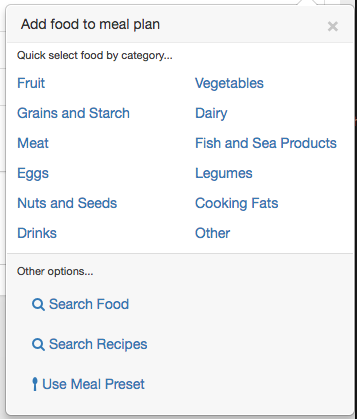 NutriAdmin has access to a food database with tens of thousands of food products available to use in meal plans and recipes. 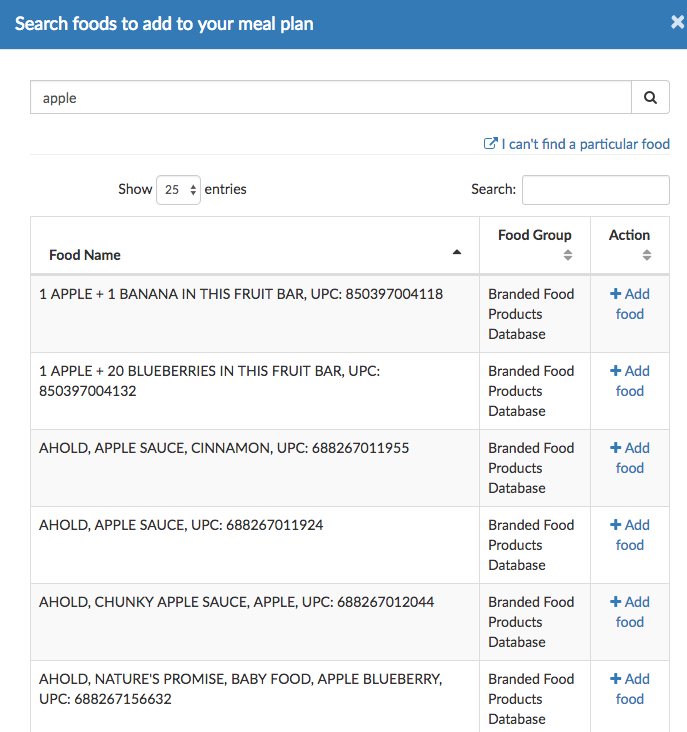 You can find more information about the food database in this link. Since there are so many options available, it can be hard at times to find what you need amongst dozens of options. For example, just searching for apple will bring about 150 results, all of them products that contain apple as an ingredient in some form or another. However, when you search for apple, you most likely are looking for a piece of fruit, not some sauce or condiment. In order to narrow down your search further, you should include extra terms in your search. For example: apple, raw. You will notice that now you have different varieties of apples available to choose for your meal plan. Notice also how branded products tend to be written in uppercase, whilst non-branded products are usually in lowercase. 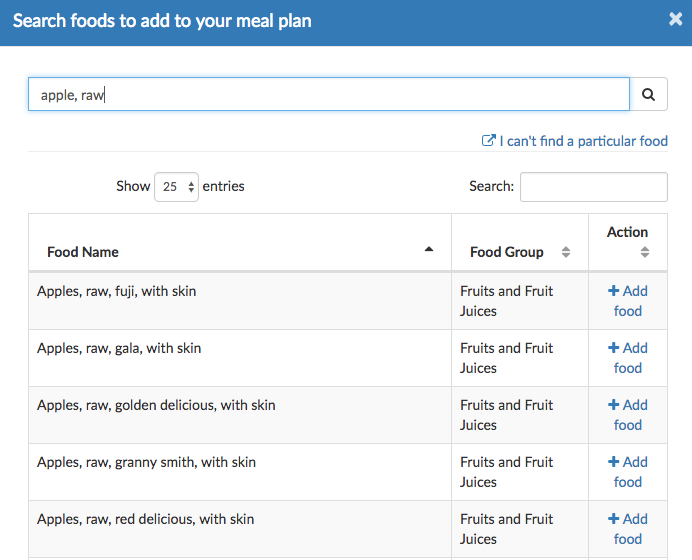 Finally, take into account that when adding unprepared whole foods to a meal plan, it may be easier to simply choose them by category from the quick menu. Note: If you cannot find a particular food item you need, perhaps you should check how to add branded products and uncommon foods to a meal plan.